During those cold winter nights, your heating, ventilation, and air conditioning (HVAC) system becomes the most valuable equipment in your home. But if it's running poorly, that means less comfort and higher energy bills for homeowners. Heating your home and producing hot water are generally the largest energy expenses for any homeowner, so you can ensure your home heating bill remains as reasonable as possible by supporting your HVAC system and keeping it running properly. 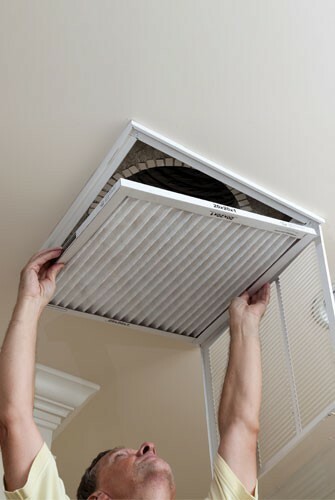 Changing the air filter every month is one of the most important things you can do to support your HVAC system. It's also one of the easiest. The filter should be checked every month and replaced if it is dirty. Filters should be replaced at the very least every three months - no matter what. Keep up with this simple project by choosing a regular day to check the filter, such as the first or last day of the month. Yearly service of your HVAC system ensures it runs properly. Homeowners should have the system inspected in the fall to best prepare it for the demands of winter. 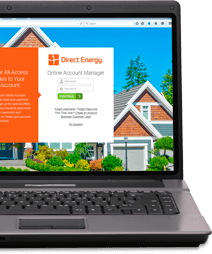 The Department of Energy website offers a list of helpful instructions to help homeowners find the right contractor for their needs. Replacing the home's HVAC system is an expensive proposition, but if your system is old and inefficient, the added comfort and financial benefits of a new system can be very real. If your system is more than 10 years old, ask a service technician's opinion on the longevity of your system. According to the U.S. Department of Energy, replacing it with a new high-efficiency model could reduce your home's annual energy bill by as much as 20 - 40 percent. One of the easiest ways to help your HVAC system operate at peak performance is to lighten its load. Insulating the home's attic keeps warm air in the home and prevents it from escaping outside. This allows your HVAC system to do less and still maintain the home's proper temperature. Per EnergyStar.gov, a simple visual test will determine whether the home's attic is sufficiently insulated. According to their recommendation, insulation in the attic should be high enough to obstruct the view of the floor joists. If this is the case, additional insulation will offer little to no benefit. The right temperature inside a home depends largely on who is there at the time, and when no one is in the home, the right temperature can be significantly lower than a conventional "living area" temperature. Many homeowners however fail to adjust their thermostats when they leave their home because it's too much work, they forget, or they don't want to return to a cold home. A smart thermostat can have a concrete, visible impact on your energy usage, especially during winter and summer. The Hive Active Thermostat allows you to remotely set and manage your home's heating and cooling temperatures, as well as customize schedules and more. The ability to adjust your home's temperature from a smartphone means you always come back to a comfortable home. The Hive Active Thermostat works with 95 percent of existing HVAC systems, so there's a good chance you can start saving energy right away. All you need is an extra power outlet and a router with an open Ethernet connection.